UPDATE: there is now a FOURTH EDITION of this book with 48 pages! Only one copy printed currently, with many new images from this year. I will have to charge more, of course, for the 12 new pages in this larger book. 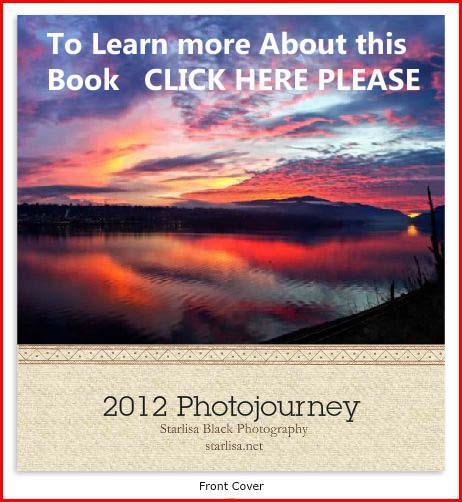 Both editions of this Book are 12 x 12 inch coffee table style book, full of brilliantly colored photos of the towns of Trout Lake and Glenwood, WA and surrounding Gifford Pinchot National Forest. the Fourth Edition of Trout Lake and Beyond, with 48 pages. This Version is $105.00, plus tax if you are in Washington, and shipping if I send it to you. Supplies are limited. I can take paypal or checks, and you can contact me at starlisa.black@gmail.com or via facebook message at my page Starlisa Black Photography if you would like to know more. The older version, the THIRD edition of the book, is 34 pages plus front and back cover photos, and sells for $85 plus tax if you are in Washington, and shipping if I send it to you. Supplies are limited. 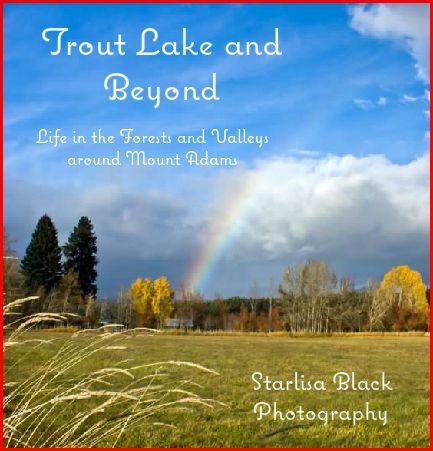 The Trout Lake and Beyond Book with two editions, is a 12 x 12 inch coffee table style book, full of brilliantly colored photos of the town of Trout Lake, WA and surrounding Gifford Pinchot National Forest. Third edition of the book is 34 pages plus front and back cover photos, and sells for $85 plus tax if you are in Washington, and $8.00 shipping if I send it to you. Fourth Edition of this book is 48 pages of gorgeous images, sells for $105, plus tax if you are in Washington, and $8.00 shipping if I send it to you. Supplies are limited, and they have sold out as fast as I ordered them.